Research Associates exists to give an objective answer to those questions critical to your business which you do not have the resource to answer in-house. It was established in 1976 and has completed over 1,000 individually designed studies in 71 countries worldwide. The company has successful experience in all main industry sectors. 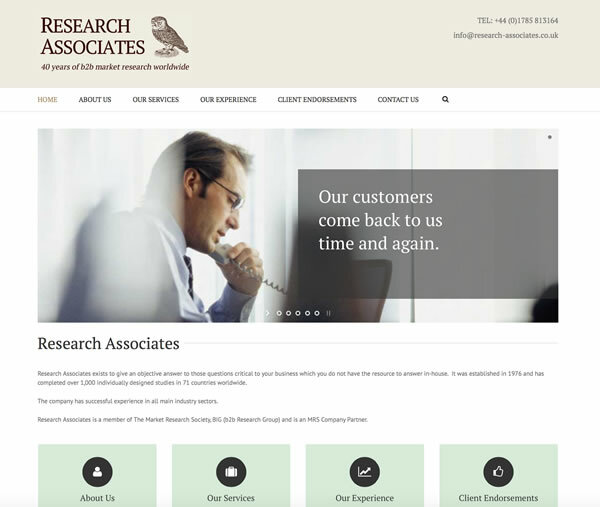 Research Associates is a member of The Market Research Society, BIG (b2b Research Group) and is an MRS Company Partner.